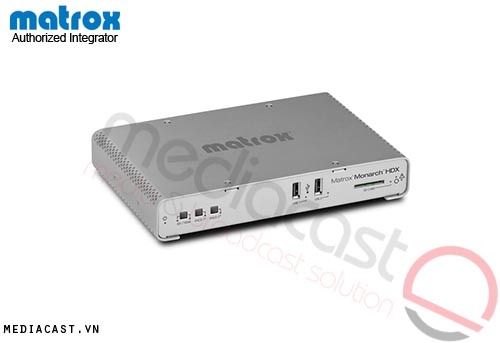 Monarch HD generates RTSP/RTMP compliant H.264 streams from any HDMI source using a built-in encoder and multi-tap 10-bit scaler and de-interlacer. It records the live streams as H.264 MP4 files with two channels of embedded AAC audio to an optional SD card, USB drive, or network-mapped drive. Network-mapped drives are useful if multiple users will need to access the recorded footage. Streaming bitrates can be assigned at up to 20Mbps and recording bitrates at up to 30Mbps. You can stream to your own server or to CDNs like YouTube. Bitrates, resolution, and other operational details are selectable in a web-application called Command Center. Via an Ethernet connection from Monarch HD to a router, Command Center is accessible on a phone, tablet, or computer. Up to four Monarch HD units can be controlled from Command Center simultaneously. Stream and record start/stop can also be controlled via push buttons on the front panel. Monarch HD operates on a Linux O/S and isn't vulnerable to any automatic updates or unscheduled exchanges with 3rd party servers. Monarch HD can stream live events from HDMI sources and record master versions for post at the same time. 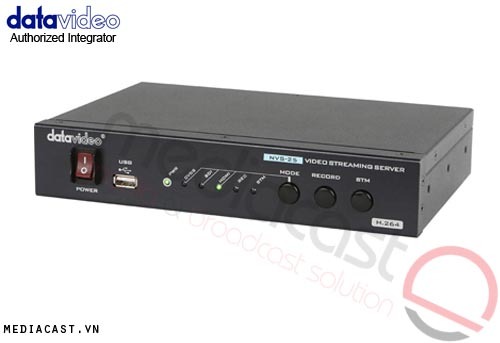 The streaming and recording functions are independent, and recording quality is not affected by streaming bandwidth. Recorded files are available anytime during a streaming session for use as complementary streaming videos. 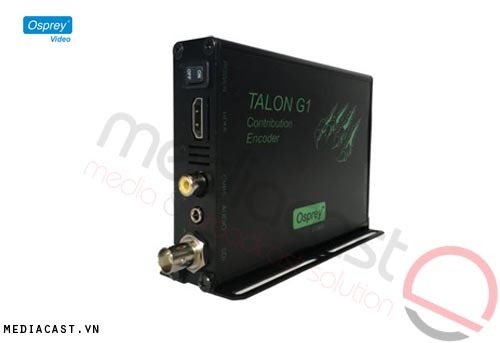 Monarch HD encodes video from any HDMI source in H.264 in RTSP/RTMP compliant protocols using a built-in encoder and multi-tap 10-bit scaler and de-interlacer. It records the live streams as H.264 MP4 files with two channels of embedded AAC audio to an optional SD card, USB drive, or network-mapped drive. Network-mapped drives are useful if multiple users will need to access the recorded footage. Streaming bitrates can be assigned at up to 20Mbps and recording bitrates at up to 30Mbps. You can stream to your own server or to CDNs like YouTube. Monarch HD features one-touch stream and record front panel push buttons and an Ethernet jack for Web UI access via connection to a router. It's fanless, consumes little power, and has a locking power connector. It can be used desktop, and three units can be installed in a 1RU rack. 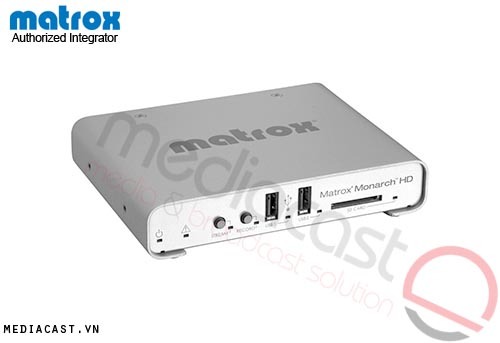 Each Monarch HD features its own IP address and can be controlled in a web-application called Command Center. Via an Ethernet connection from Monarch HD to a router, Command Center is accessible on a phone, tablet, or computer. Bitrates, stream/record start and stop, and other operational details are assignable in Command Center, and up to four Monarch HD units can be controlled from it simultaneously. Monarch HD runs on an embedded Linux O/S and is therefore not vulnerable to any automatic updates or unscheduled exchanges with 3rd party servers. The Command Center Status Page provides status information including input video detection and resolution, state and configuration of streaming operation and/or recording operation, error conditions, and more. Features controls for initiating recording and streaming operations, including synchronized start/stop. Allows configuring recording parameters and includes presets based on intended post uses, such as a YouTube preset for VOD uploads and a master quality preset for high quality editing. Here's where you enter RTMP or RTSP credentials and encoding parameters. Encoding presets are available for quickly choosing settings based on available bandwidth and desired delivery resolution or bitrate. The target encoding streaming parameters only need to be entered once and saved as a unique profile. Multiple profiles can be saved if the device is used in different environments. Each profile can be loaded instantly without having to reenter data. Allows device naming, IP configuration, date/time settings, and other tasks. Features PC and Mac based utilities to help detect Monarch HD units on a particular network (DHCP server required). Recording Lengths Maximum file length of 300 minutes - irrespective of storage type used. File splitting feature allows a user to record continuously for long periods by defining file segment sizes. The Monarch HD will create these sequential file segments over the course of the recording operation without losing a single frame of video. File segment can have a length of 1 to 300 minutes. Computer Based control HTTP via standard PC or Mac web browser using Matrox Command Center. The simple Monarch HD Control API is also available to programmers to create their own application to start and stop the Monarch HD. MRCH/RACK/KIT Monarch HD Rack Mount Kit. Can fit up to three Monarch HD units in a 1RU space. PWR/SUP/MHD Monarch HD power supply unit. Does not include IEC-C8 power cord. These cables must be sourced locally.